As a leading manufacturer of beverage insulators, U.S. Poly Enterprise, Inc. has provided retailers, businesses and organizations with the most popular products available today -- can coolers, sport bottles and wetsuit (neoprene) drink insulators. For a more personal touch to our products, ask about adding a custom imprint or a company logo. Our products make great promotional items. Many customers use our products for company picnics, fundraisers or incentive awards. Whether you are a retailer looking for a fast-selling product or a business searching for promotional items, we have the products to suit your needs. U.S. Poly Enterprise can also provide blank parts to companies that want to do their own decorating. Learn more about our quality products on these web pages. 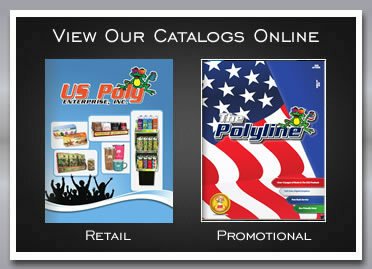 For more information, contact U.S. Poly Inc. by email or call 573-624-4266.